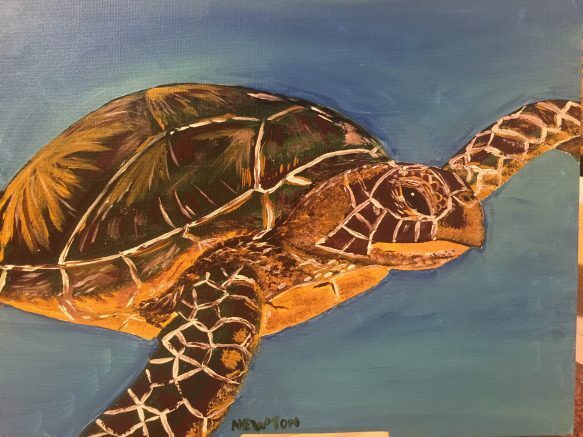 Cheektowaga artist Ken Newton, owner of Ken Newton Studios, has entered into a partnership with the Sea Turtle Conservancy (STC) located in Gainesville, Florida. As part of the partnership agreement, Newton will provide original artwork to be auctioned off at three Conservancy fundraisers each year. 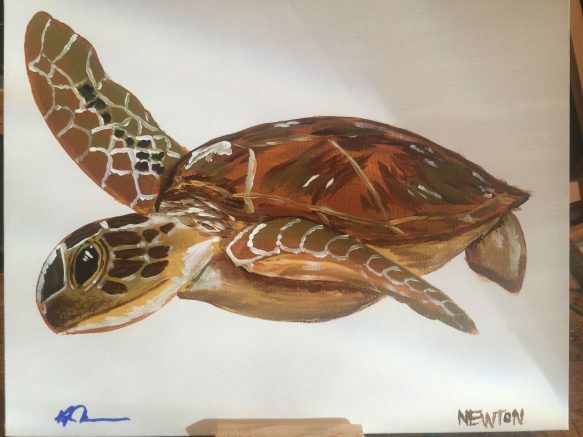 Additionally, a portion of the proceeds from the sale of Newton’s sea turtle art will also benefit sea turtle conservation by contributing to the activities of the Conservancy, the world’s oldest and most accomplished sea turtle research and conservation organization. “I am very excited to begin contributing to the Sea Turtle Conservancy, a cause that’s near and dear to my heart. I cannot wait to play a role in conserving wildlife,” said the self-taught artist. For more than 50 years, the Sea Turtle Conservancy has been studying and protecting marine turtles and their habitats. 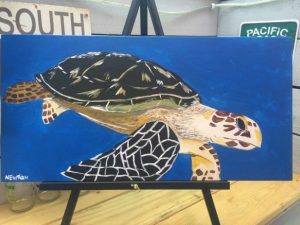 STC’s research programs are providing pertinent biological information about sea turtles, its education programs are increasing awareness of the threats to sea turtle survival, and its conservation programs are helping to recover sea turtle populations around the world. For more information, please visit conserveturtles.org. For more information on Ken Newton Studios, please visit his Facebook page at www.facebook.com/KenNewtonStudios. To purchase his artwork, please visit the holiday artisans’ show taking place from 1 to 5 p.m. Saturday, Dec. 9, at Flying Bison Brewing Company, 840 Seneca St., Buffalo. Be the first to comment on "Ken Newton Studios enters partnership with Sea Turtle Conservancy"